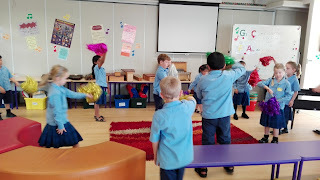 On Friday we went to see Mrs Dowden to have our first Music session. We had great fun singing, moving with the music, using the drums and pom poms. We can't wait until week 4 to go again. 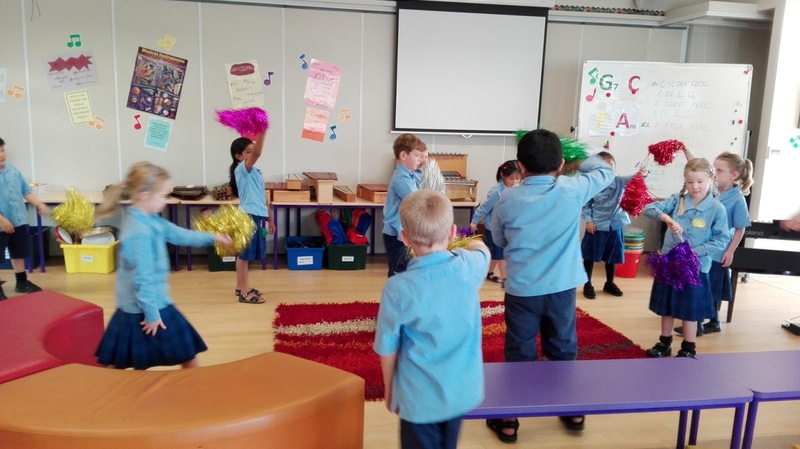 Wow how lucky are you Room 13 to do music with Mrs Dowden. Looks like you all had a lot of fun. 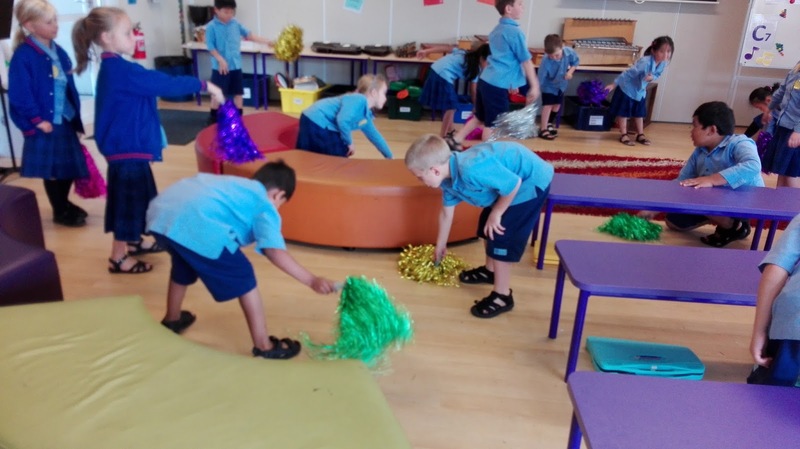 Looks like you had lots of fun Room 13.